With more than 10,000 additively-manufactured parts built into the Rolls-Royce Phantom, the BMW Group has been using components from 3D printers in series production since 2012. The company will continue to expand this pioneering role in the future. 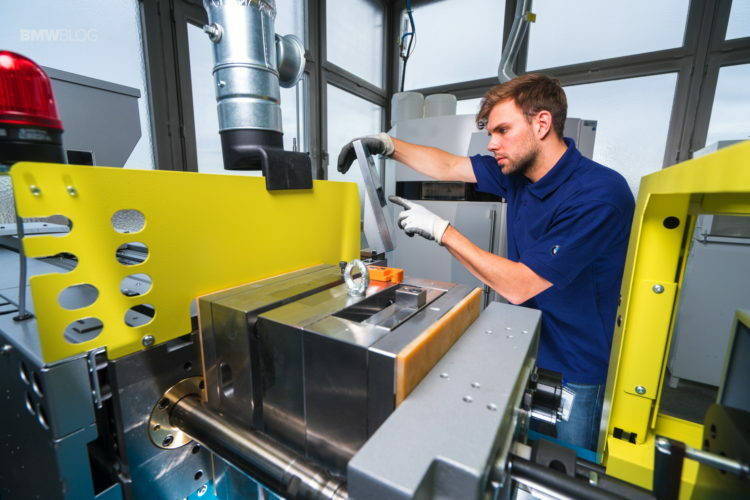 The Additive Manufacturing Center at the company’s Research and Innovation Center (FIZ) has also been using these forming processes to produce parts for the new Rolls-Royce Dawn since the start of the year. The BMW Group is steadily pursuing the evolution and use of advanced additive-manufacturing methods. Planar 3D printing technologies will enable much faster production times and more economical production in the future. Plastic holders for hazard-warning lights, centre lock buttons, electronic parking brakes and sockets for the Rolls-Royce Phantom have been made in this way since the start of production in 2012. Mounting brackets for fibre-optic cables used in the Rolls-Royce Dawn have also been produced by 3D printers since the start of the year, and the company will install several thousand of these clips throughout the model lifecycle. Rolls-Royce Motor Cars is a pioneer in the use of the most innovative production technologies of the future. The advantages of additive manufacturing are visible early on, especially for components with a complicated design. Production times are significantly shorter than for conventional production methods, while still meeting the same high quality standards. The BMW Group is constantly working to refine additive manufacturing processes for series production. The new, planar printing technologies enable considerably faster production times than conventional point-to-point 3D printing methods. Beamers or infrared sources are used to expose the full surface, rather than point-to-point, high-priced light sources, such CO2 or UV lasers. Jens Ertel, head of the BMW Group’s Additive Manufacturing Centre: “Planar technologies are central to the use of additive processes in series production. The most recent example can be found in the preliminary trials of the HP Multi Jet Fusion technology. The process will initially be used in prototyping, but we plan to extend it into series production over the long term.” The process utilises print heads and liquid agents, like a conventional inkjet printer. At the start of the process, a thin layer of base powder material is applied. The print head then sprays fusing and detailing agents onto the powder bed. What is unusual is that, at virtually the same time, the respective layer of the component is fused using infrared radiation. This speeds up production time and increases flexibility. Late last year, a breakthrough was achieved in the field of planar 3D printing process with the introduction of so-called CLIP technology (Continuous Liquid Interface Production). This method shortens production times considerably, since it works with planar exposure from a beamer. The BMW Group used the process for the first time to produce individualised side indicators for the “DriveNow” car-sharing fleet. In a social media campaign, German customers voted on names for a total of 100 MINIs in the fleet. CLIP technology was then used to integrate these in the indicator body of the vehicles being tested on the roads in Germany. The BMW Group has successfully used 3D printing technologies for more than 25 years. Many areas already enjoy the benefits of additively-manufactured components. 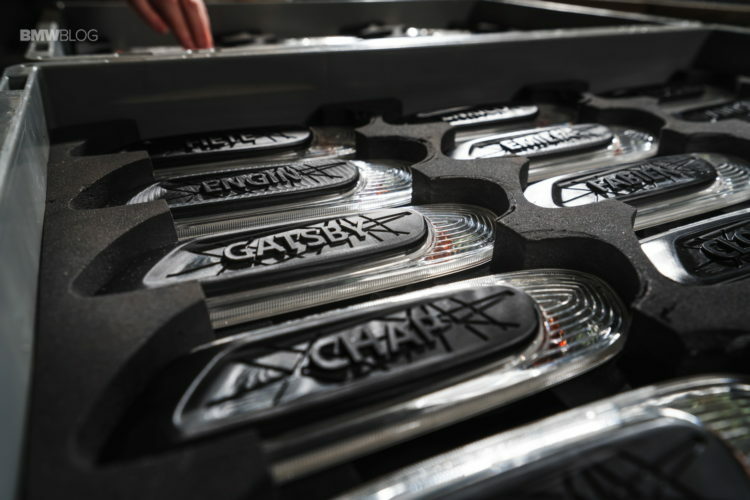 Classic examples of additive manufacturing are areas where customised and, in some cases, highly complex components are required in small quantities – mainly in pre-development, vehicle validation and testing or for concept and show cars, but also small series production. In this way, the company is constantly working to harness new additive methods for vehicles from prototypes to classic cars. However, the methods are also utilised in tool-making and manufacturing equipment. The BMW Group celebrated the first successful use of this technology in small-series production in 2010, with the additively-manufactured water pump wheel still fitted in DTM vehicles to this day. 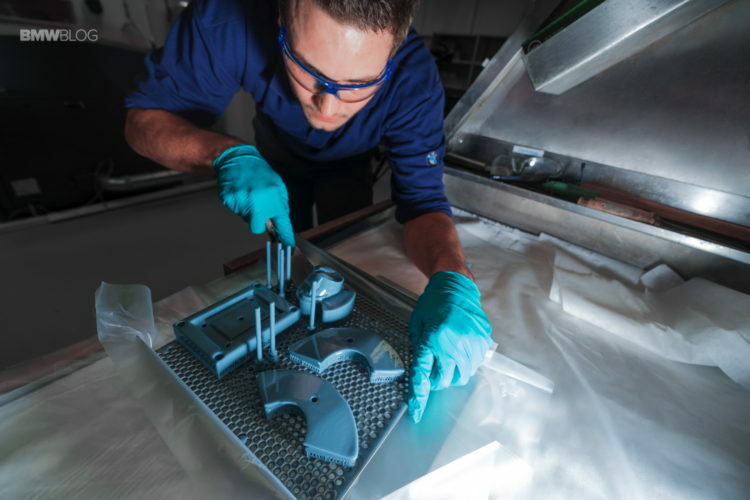 The Additive Manufacturing Centre team at the FIZ handles nearly 25,000 prototype orders annually and delivers more than 100,000 components per year to customers within the BMW Group. The spectrum ranges from small plastic holders to design samples to metal chassis components for functional testing. Depending on the process used and size of the parts, components are often available within just a few days.